Nonprofit Support Services expenses include administrative and fundraising costs. These cost categories are essential for the operation of your nonprofit, and for the management and fulfillment of your mission based programs. Nonprofit administrative costs are necessary to run your organization. Fundraising expenses are the expenses incurred to raise the funds from donors and fundraising events. Program expenses are the costs necessary to operate your mission based programs. It is the money spent to further your mission. Nonprofits who are required to file the annual IRS 990 must be able to segregate their expenses into three main functional areas: Program Services, Management and General and Fundraising. While there is no mandate on the maximum percentage of total cost allowed for support services, nonprofits must be pay attention to the amount spent on these costs in relation to their program costs. Even though it may not seem fair but you may not think it is fair, some donors and funding sources will make decisions on their donations to your organization based on the ratio of your support services expenses to your program expenses. Nonprofit administrative expenses are referred to as overhead necessary to run the organization. As defined by the Form 990, this refers to the amount spent annually on management and general expenses. These include the cost of employees who do not work directly in your program, insurance, building maintenance, event planning and marketing. Ratios that show a high percentage of expenses going to overhead may face challenges obtaining grants, donations and positive ratings. By contrast, when overhead is low, nonprofits may be underfunded and can lead to understaffing, lower productivity and insufficient funds to meet their goals. Overhead expenses are relative and should be viewed in terms of transparency and accountability. As the saying goes, “Spend money to make money”, the same holds true for nonprofits. 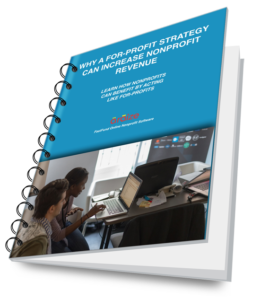 Many nonprofits should spend more on overhead. These include investment nonprofits make to improve their mission: investments in employees, training, planning, evaluation, and internal systems — as well as efforts to raise money to operate programs. These expenses promote sustainability. Using online nonprofit accounting software, such as FastFund Accounting, will help your organization keep track of all your functional expenses by program, management and general and fundraising. Its segmented, table-driven chart of accounts easily generates functional expense reports showing the segregation of your expenses and help management properly monitor and manage expenses to make sure your are in compliance with funding sources and can demonstrate proper transparency. The financial data in FastFund Online helps management determine the sustainability of your programs with the resources available and help plan for future growth and success for your nonprofit. We value your comments! Feel free to ask questions, suggestions or leave feedback.